It was a nice day (low 80s, steady light wind from the southwest), and I suppose that everyone wanted to take their boat out. Even in the creek, we had all kinds of traffic: getting cut off by powerboats, powerboats creeping through the channel at sub-sailboat speed, powerboats all rushing to pass the slow-moving powerboats, powerboats throwing up three-foot wakes over No Wake buoys, etc. We eventually made it out and had to navigate between a large cruising catamaran and a cat-ketch while all three of us attempted to raise our sails. With a southwest wind, we could make it up and around Good Luck Point without running the engine. When we got to Marker 36, we jibed the main to sail wing and wing, which is not my favorite point of sail in a busy channel, but we made it to the beginning of the marked channel into the Toms and finally completed the jibe by bringing the headsail over. We were pretty close to the Mathis Bridge at one point, and saw it open for a sailboat. The above photo, while not that visually interesting, is important to me for what it lacks. 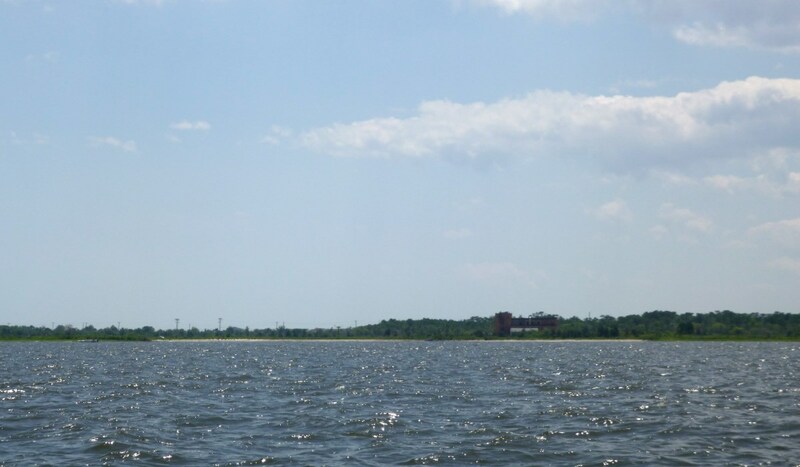 That building is the former home of AT&T’s High Seas Radiotelephone Station, call sign WOO, which went offline in 1999. I took pictures of the site during the off-season a couple years ago. There used to be hundreds of telephone poles there—part of the antenna arrays that allowed the station to send and receive radio signals. According to the Asbury Park Press, about 340 telephone poles along with some metal antennas were removed in early 2017. They left a few for the osprey. It was a little disorienting for me to see them gone, but I appreciate that the U.S. Fish and Wildlife Service is attempting to restore the area to natural marsh land. After rounding Good Luck Point, we sailed into the river. 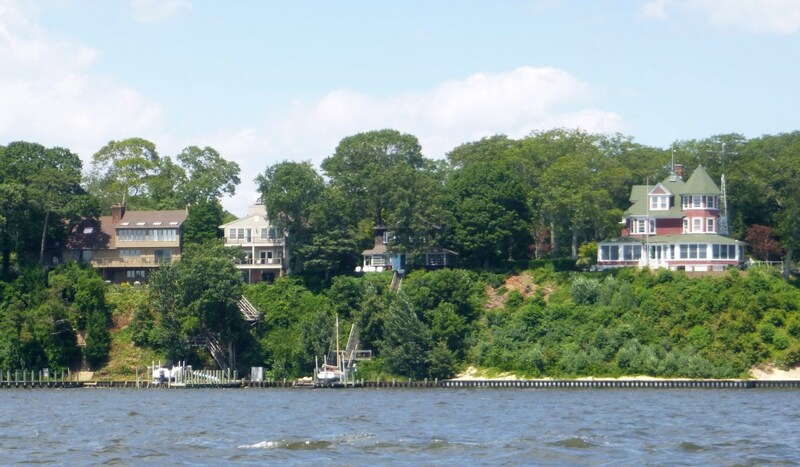 The houses on Island Heights always make me feel like we’re in some distant place, even though Toms River is one creek up from ours. It’s not every day that you get to see a Falmouth Cutter in these waters. It’s a very shippy little boat. 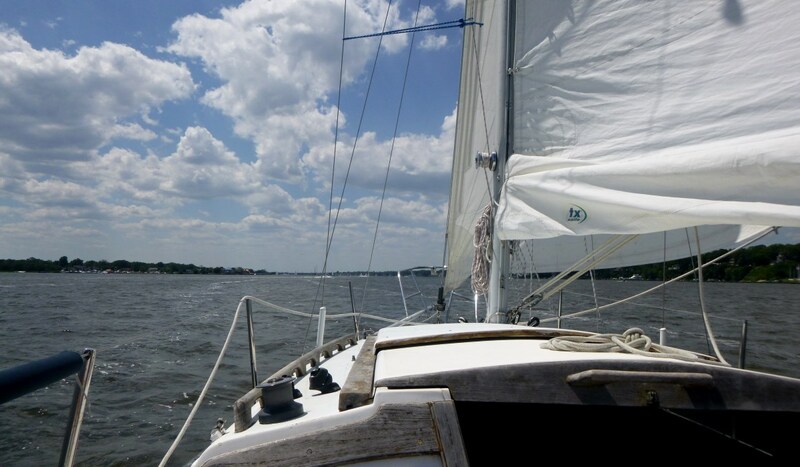 We made our way to the end of the wide part of the river, then came about and started sailing back upwind. We short-tacked to the beginning of the channel, picking our way between the boats coming downwind and motoring up, but then the wind direction prevented us from comfortably navigating, so we used the engine to get back to marker 36. There, we resumed sailing, and tacked our way back toward Cedar Creek. Nothing too exciting to report, but it felt good to see a different part of Barnegat Bay. I spent many summers in Island heights. My Grandparents had a cottage up on the bluffs overlooking the river. 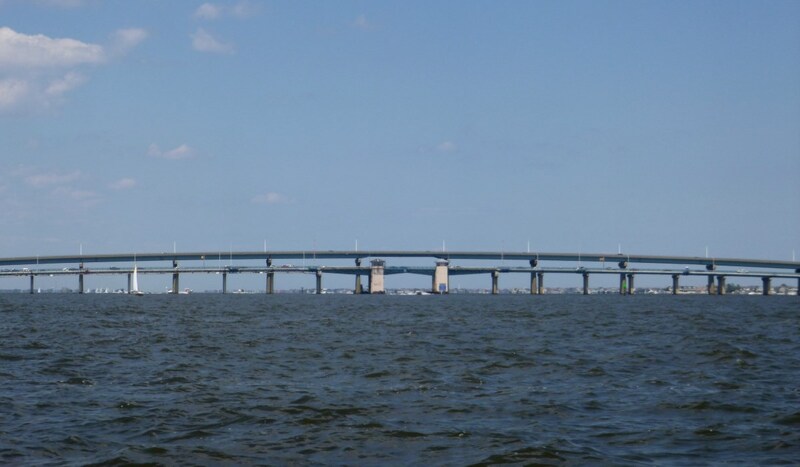 We sailed a Diamond, and later a Snipe up and down toms River. My favorite place. Awesome. I don’t know Diamonds, but Snipes are great boats. Thanks for reading our boat log. 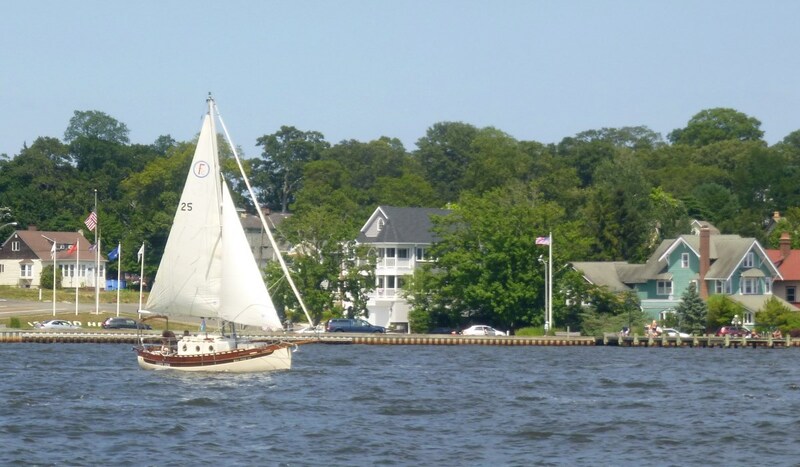 According to islandheights.org, the IHYC organized the first junior sailing program in the 50’s with the purchase of 20 Clarke duck Boats. The fleet was replaced with Parrine built Diamonds, which were replaced with Duck boats built by David Beaton. it’s so strange that these boats and all references have pretty much disappeared. They were the thing in the early sixties. Interesting. Searching for “Diamond Sneakbox,” it looks like they may have been locally made. J. Howard Perrine was building them in the town of Barnegat, NJ from 1900 until his death in 1956, and the business was carried on until the 1980s. The Toms River Seaport Society & Maritime Museum appears to have three in their collection.